How we increased lead generation by 700% with SEO? This is not your average case study. This is a true testament to the fact that when you are patient and consistent with your SEO efforts, the results will definitely be worth it. Search Engine Optimization (SEO) is one such digital marketing activity which takes a considerable amount of time to deliver its benefits and also requires you to continue putting in your efforts to ensure that you don’t go back to square one. Meaning, once you are ranking on the first page of any search engine for a particular keyword, you need to continue to put in those same efforts, if not more, to stay on the first page. The one fact that most digital marketers fail to understand is that your search engine results page (SERP) ranking is not only determined by your SEO strategies but is in consideration with the efforts put in by your competitors for the same search query. And this is why SEO is a forever process, but worth every second you invest. A business’s sole intention of ranking for any search query on the first page of Google’s search engine results page is to have searchers click on your result, land on your website and fulfil your conversion goal – in short, website traffic generation and ultimately lead generation. First, we set out to assimilate our position on Google’s SERP by executing an SEO Audit. We found out the rankable keywords, on-page and off-page optimizations that could be done and chalked out an effective SEO strategy to boost our Google ranking. Now that we established the primary keyword for our digital marketing agency, we set up a few ground rules that helped us in achieving our goal of lead generation with SEO (read on). Once we decided on our target keyword, we made sure that every page of the website, including every blog article, included the keywords “digital marketing” if not “digital marketing agency”. But we did also take into consideration the optimum usage of the keywords and use it at the most natural flow of words so that we do not end up being penalised by the search engines for keyword stuffing. We started with our meta title and meta description. We ensured that we made the best possible use of the 60 character and 160 (at that time) limit for the title and description respectively. Then, we optimized our existing blogs with our target keyword and ensured that any blog from thereon, consisted of our target keyword. We also ensured that our image tags also consisted of the keyword, wherever applicable (as I mentioned earlier, we did not want to stuff keywords). The keyword was also kept intact in our social media profile descriptions and site submission content. So in a nutshell, First Launch and “digital marketing agency” went hand-in-hand, throughout the web. Each webpage’s content and blogs were optimized with respect to keywords and readability. A readability check is to ensure that the sentences are not too long or complex, which also affects the way Google assimilates your website content (just like humans, nobody likes long and complex sentences). The regular content optimization efforts could be easily taken up with the use of Yoast SEO Plugin for WordPress. We kept a close watch on our website performance ie., web page size, website speed and mobile performance. Google is rumoured to have started considering the website’s mobile performance to determine the search engine ranking with its recent updates. Knowing that it takes time for Google to index your website changes and optimization efforts, it is always better to be safe than sorry. Owing to the kickass in-house technology team that we have, monitoring and maintaining our website was not sweat. We also utilised tools such as Google PageSpeed Insights and Google Search Console, to alert us of any mishaps with the website. 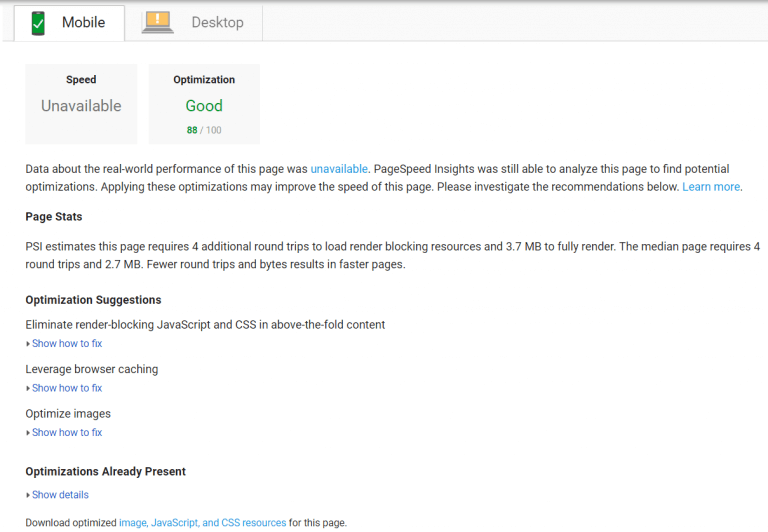 Google PageSpeed Insights helps in the analyses and optimization of your website, leveraging its infrastructure. It identifies the performance flaws of your website and also suggests viable solutions. Google Search Console, on the other hand, takes it one step ahead with its regular website diagnosis. It scans your website for crawl errors and alert you via email, and helps ensure that your website is Google-friendly. With the deadly combination of super-skilled tech team and Google’s website performance monitoring tools, we could ensure that our website was treated like royalty. With all the website enhancements and optimizations, you need to verify what really works for your website. The only way to do that is to monitor the performance of your website, and validate the effects of the alterations made. Key metrics like website rank and keyword rank can be used as indicators for you to validate if your efforts are made towards the right direction. 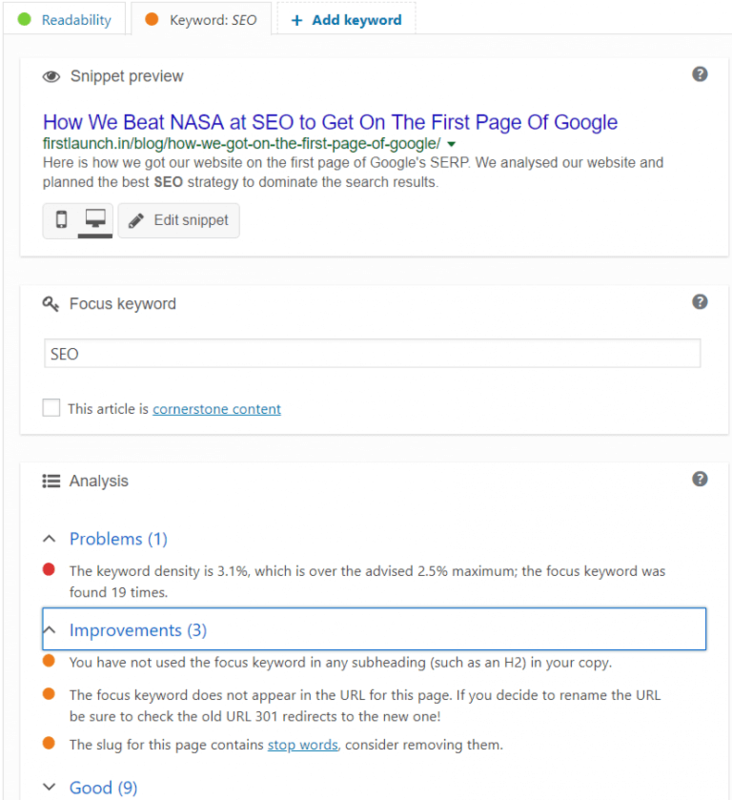 Tools like SEMRush and Alexa, help you analyse your website’s SEO. A constant watch was kept on our website ranking to see if the SEO strategies deployed were reflecting towards the right direction. We constantly monitored our blog article rankings, the spike or decline in the website traffic, updated the keywords. We were in a constant loop of the above activities for over 3 months before we realised that we had broken the mould. Slowly, our SEO efforts proved to be successful in lead generation as we crept up the Google search ranking. We got enquiries which required much less effort to convert (as they already had the necessity for a digital marketing agency and hence why we’re looking for the same, online). So through our SEO strategy and consistent efforts, we went from waiting for replies to our cold email campaigns to our inbox and phone buzzing with enquiries. Now, SEO has become our primary strategy for lead generation since it has increased lead generation by over 700%. In fact, we also had a random, unscheduled walk-in of a prospect, who claimed to have noticed on Google that we were close by to his residence – an experience I, for sure, will never forget. You can implement the above steps in your search engine optimization strategies or you can always get in touch with us. We’d surely love to help you develop the best SEO strategy and increase lead generation for your business.